The city of Siauliai was founded in 1236 and controlled by Teutonic Knights during the 14th century. The tradition of placing crosses seems to date from this period and may have risen as a symbol of Lithuanian defiance toward foreign invaders. Since the medieval period, the Hill of Crosses has represented the peaceful resistance of Lithuanian Catholicism to oppression. In 1795, Siauliai was incorporated into Russia but was returned to Lithuania in 1918. 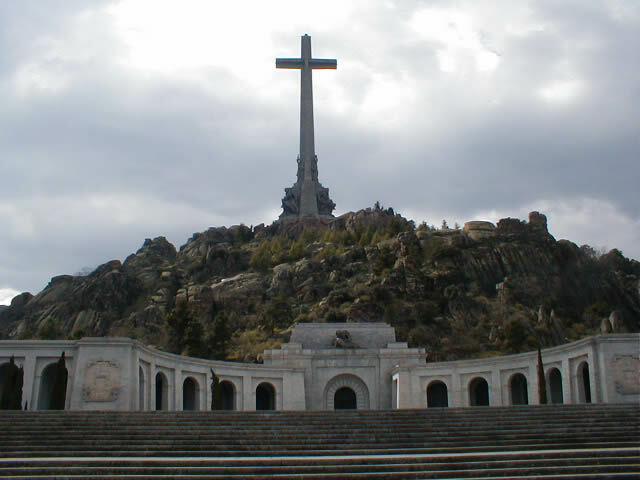 Many crosses were erected upon the hill after the peasant uprising of 1831-63. 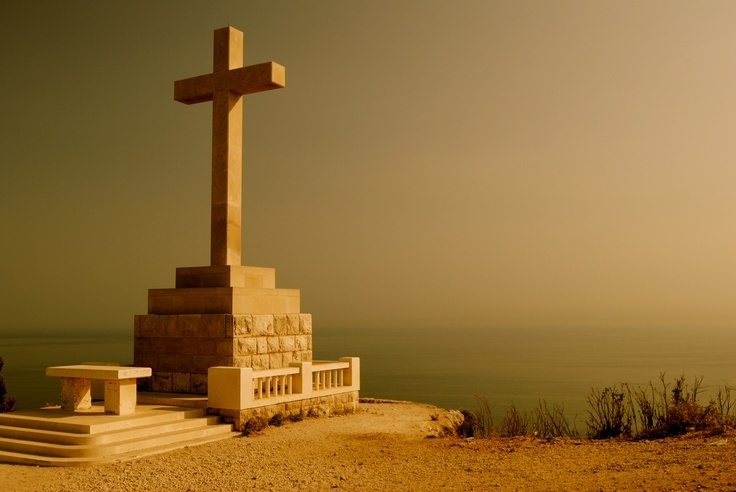 By 1895, there were at least 150 large crosses, in 1914, 200, and by 1940 there were 400 large crosses surrounded by thousands of smaller ones. After being captured by Germany in World War II, the city suffered even more damage when Soviet Russia retook it at the war’s end. From 1944 until Lithuania’s independence in 1991, Siauliai was a part of the Lithuanian Soviet Socialist Republic. 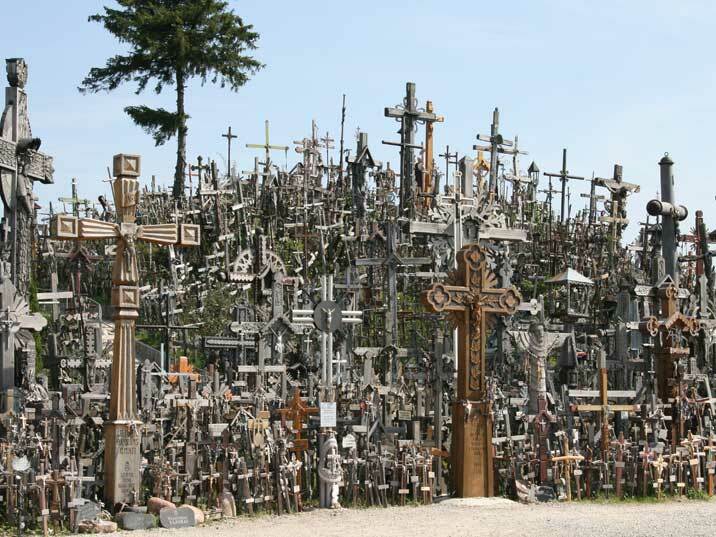 During the Soviet era, the pilgrimage to the Hill of Crosses became expression of Lithuanian nationalism. The Soviets repeatedly removed the crosses placed on the hill by Lithuanians. The hill was leveled three times: during 1961, 1973 and 1975. 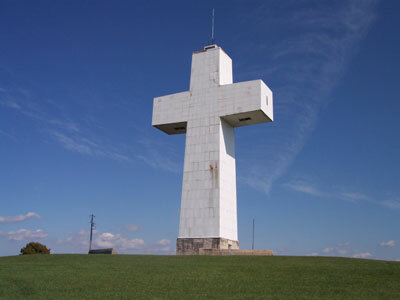 The crosses were burned or turned into scrap metal, and the area was covered with waste and sewage. Following each of these agonizing experiences local inhabitants and pilgrims from all over Lithuania rapidly replaced crosses upon the sacred hill. 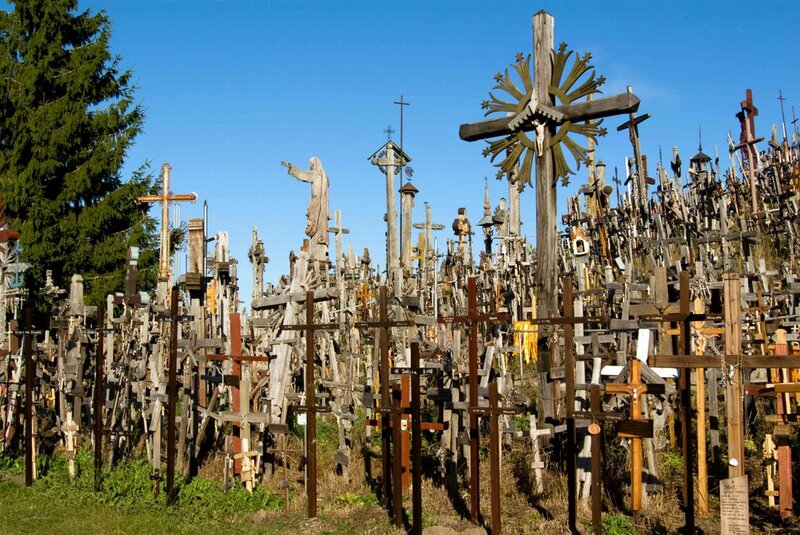 In 1985, the Hill of Crosses finally found peace. 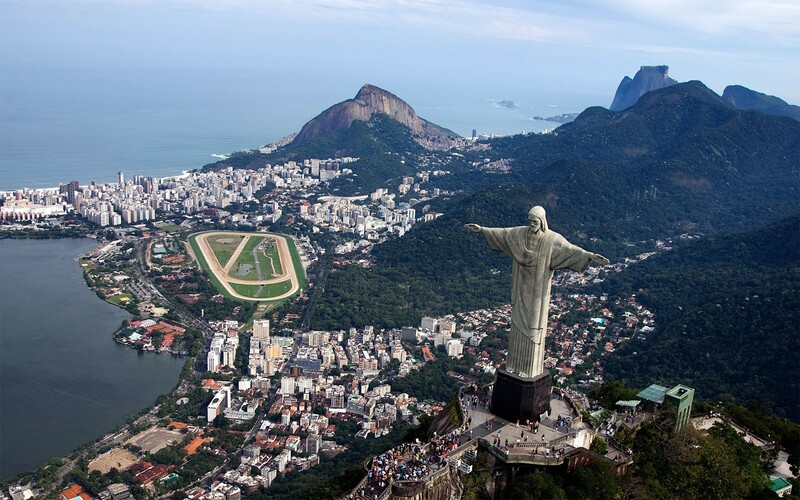 The reputation of the hill has since spread all over the world and every year it is visited by many thousands of visitors. 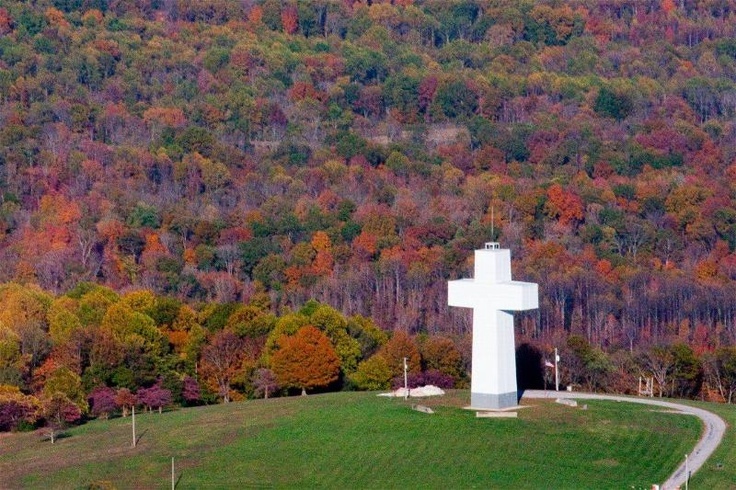 The size and variety of crosses is as amazing as their number. Beautifully carved out of wood or sculpted from metal, the crosses range from three meters tall to the countless tiny examples hanging profusely upon the larger crosses. Each year, if the winter weather allows, Denny Jessick – an Emmet County Sheriff’s Office Marine and Snowmobile Officer – welcomes the public onto the ice of Little Traverse Bay to view a most unique sight that might otherwise go completely unnoticed in this region of beauty. About 800 feet offshore and under 21 feet of water lies an Italian white marble crucifix, the only known freshwater-underwater crucifix. It came to Petoskey in 1962 in a round-about way, and has become a draw for divers and visitors alike ever since. 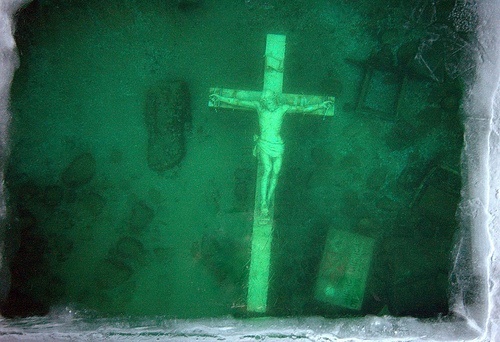 The 11-foot tall crucifix, with a 5-foot 5-inch figure of Jesus Christ, was placed in the Bay, near the Petoskey breakwall at Bayfront Park, by the Wyandotte-based Superior Marine Divers Club in 1962. Its original intent was to honor Charles Raymond, a Southgate diver who drowned in Torch Lake. Later, the club expanded the focus of the monument to memorialize all those who have perished at sea. Its origins date back to the late 1950s, when a grieving mother and father from Rapson in Michigan’s Thumb area had it crafted in memory of their son, Gerald Schipinski. Gerald was 15-years-old in 1956 when he was accidentally killed by a shotgun on the family farm. 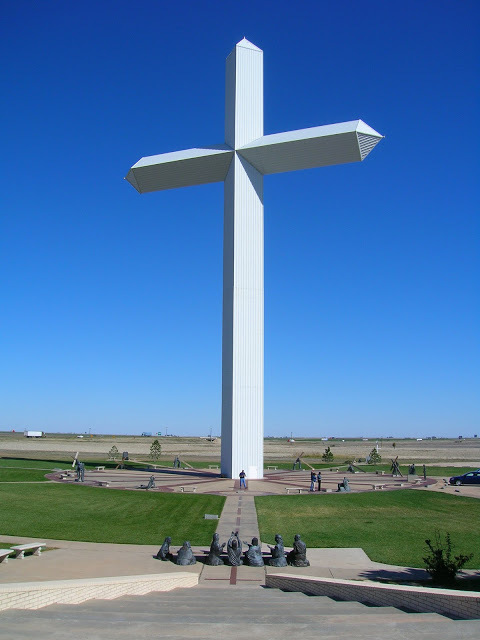 After being crafted in Italy, the cross was broken during shipping to the Rapson Catholic church; the family rejected the damaged crucifix and it was sold in an insurance sale to the Wyandotte dive club. The crucifix made its way to Little Traverse Bay and was first placed by the U.S. Icebreaker Sundew 1,200 feet off the Petoskey breakwall on Aug. 12, 1962. The event drew hundreds of people and several dignitaries. The actor Lloyd Bridges was invited, but he sent a telegram to event organizers declining the invitation due to a heavy film-shooting schedule. Bridges’ telegram is kept in a thick binder of memorabilia preserved by Jessick and his wife, Susan. 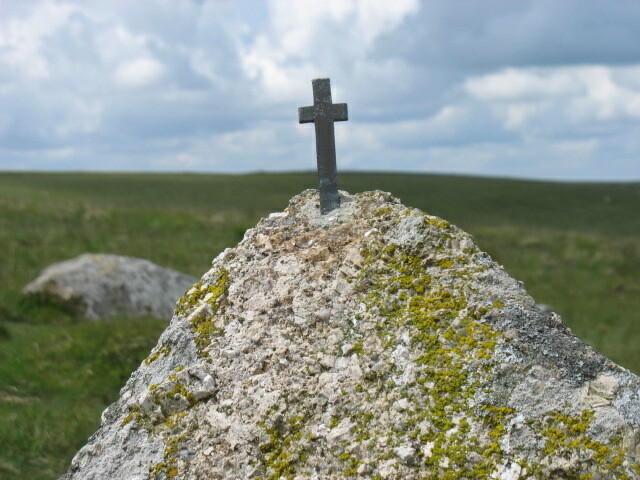 This cross is 10.6cm tall and is known as “the smallest cross on Dartmoor”. I find it strange that people should want to place ever-smaller crosses on the moor. But I find it even more strange that other people should want to damage or steal them.